Novosibirsk is the centre of medicine and public health services from Ural Mountains to the Far East. In Novosibirsk are the Siberian unit of the Russian academy of medical sciences (From the Russian Academy of Medical Science), carrying out workings out of perspective directions in public health services on the basis of unique medical technologies; highly technological medical institutions - Scientific research institute of a pathology of a circulation of A.N.Meshalkina (NIIPK), MNTK "Microsurgery of an eye of a name of Academician Svjatoslava Fyodorova”, traumatology and orthopedy Scientific research institute (NIITO), SibNIICMT - the unique organisation in region of Siberia and the Far East, having the right to carrying out of acceptance tests and the coordination of specifications on the new and modernised medical products on behalf of Ministry of Health of the Russian Federation; a unique research-and-production complex - the State centre of science of virology and biotechnology "Vector"; The largest versatile treatment-and-prophylactic establishments - the Road hospital (GU DKB); the largest medical scientifically-educational centre of Siberia and the Far East, occupying in a rating of medical high schools of all Russia the fourth place - Novosibirsk State Medical Academy (NGMU). In the Siberian unit of the Russian academy of medical sciences the special attention and support are given to development and perfection of highly technological medical institutions on the basis of clinics of Federal scientific research institutes of the Siberian unit of the Russian Academy of Medical Science and Ministry of Health of the Russian Federation. Already today here unique ways and techniques of treatment of various illnesses are used. At institute of a clinical and experimental lymphology (NIIKEL) the Siberian scientists develop an effective method of struggle against diseases by a multiple sclerosis. The multiple sclerosis while is incurable, however, by means of the new method which has received the name cytapheresis with an immunotherapy, it is possible to stop development of this serious illness. The first exacerbations appear at patients not earlier, than in a year whereas after traditional treatment they arose already after some months. Already more than two tens person have passed treatment by new way in Novosibirsk. According to experts, analogues of such technique in the world while are not present. 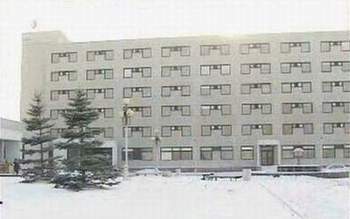 In Novosibirsk one of the best in the world of the scientific biological schools leading researches by wide front since molecular level was generated. Along with fundamental results, Novosibirsk biologists together with physicians regularly receive results of applied character. The new method of diagnostics of genetic pathologies and oncologic diseases is developed by scientists of Institute of cytology and genetics of the Siberian unit of the Russian Academy of Sciences together with German colleagues from Institute of genetics of the person of a city of Yen. This method allows precisely, quickly and reliably to carry out the detailed analysis of the chromosomal pathologies resistant to studying by traditional methods. Scientific research institute of a pathology of a circulation of A.N.Meshalkina (NIIPK) - one of leaders the countries, the largest centre of the Asian part of Russia. In Institute clinic 45% of all specialised final fund of region are concentrated approximately. NIIPK is unique complex the cardiologic centre on all space from Ural Mountains to Kamchatka. The institute is engaged in working out of scientific bases of ways of treatment and preventive maintenance of cardiovascular diseases at children and adults. Here all kinds of medical-diagnostic procedures are spent at pathologies of heart and vessels. Annually out-patient department NIIPK visit more than 14 thousand patients, more than 4 thousand pass treatment. 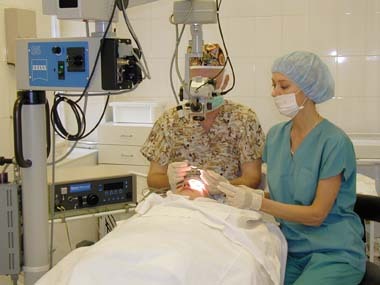 MNTK "the Microsurgery of an eye of a name of Academician Svjatoslava Fyodorova” offers the best achievements of a world science for today. 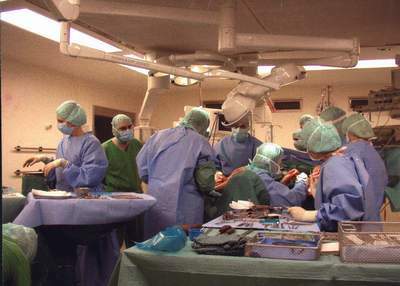 Diagnostics, treatment and operations - all is spent by means of the advanced preparations, methods and the equipment. Here treat any diseases of eyes. Scientists of Scientific research institute of traumatology and orthopedy (NIITO) have developed a new method of influence on the tumoral cells which have been not removed in the surgical way. In NIITO patients not only Russia, but also near and far abroad are treated. Annually experts of institute leave abroad on the international congresses, workshops, conferences and consultations.